SAN FRANCISCO (KGO) -- Bay Area police unions are calling on House Speaker Paul Ryan to take action over a student's painting they say portrays officers in a negative light. 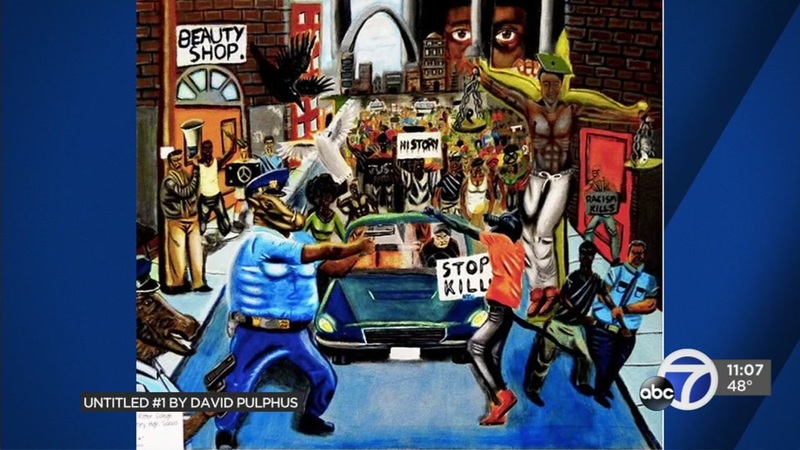 The untitled artwork, which depicts police officers as warthogs, won a congressional art competition last year, and is hanging inside the U.S. Capitol. San Jose, Oakland, and San Francisco's police unions are calling on Ryan to have it removed, saying it is disrespectful, and could endanger the lives of officers.